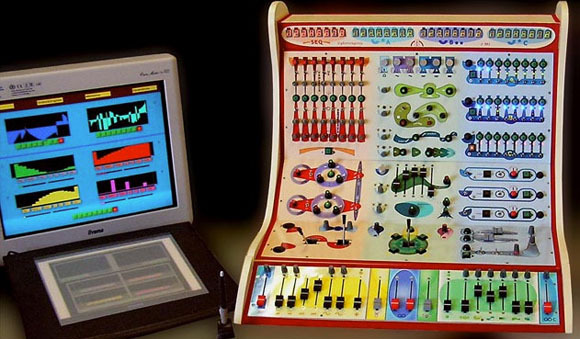 that weren't weird enough, the thing looks like Don Buchla teamed with Playskool Toys, and this may be the only device on the planet that claims to be suitable for toddlers, schoolchildren, teenagers, schoolteachers, and professionals. 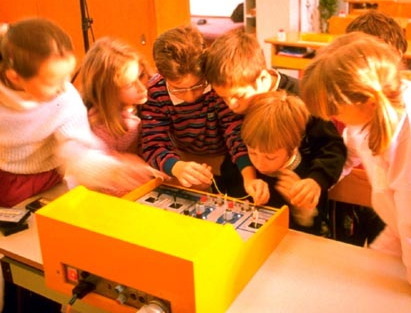 And if you don't already wish you went to school in France, watch these kids learning about electronic music. Now that's what I call "no child left behind."